Kazakhstan’s main team had a good start of the season, but then started losing games and missed the playoffs. 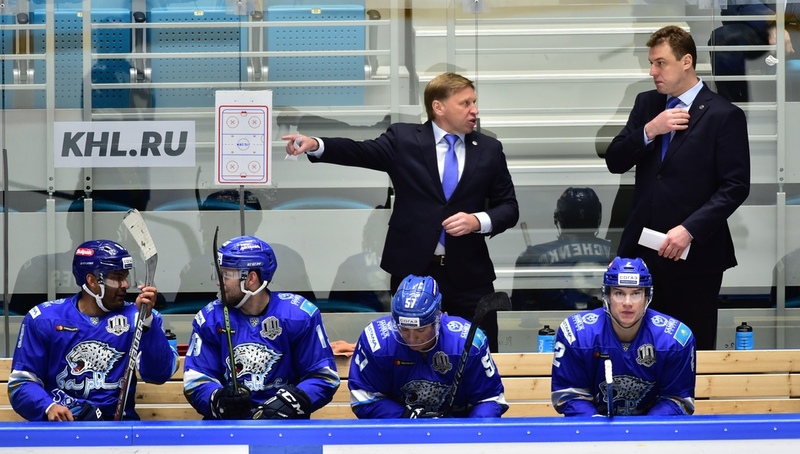 Before the start of the season, Barys fans didn’t know what to expect from their team. Dustin Boyd and Brandon Bochenski left Astana: the two forwards, with Nigel Dawes, were the undisputed team’s leaders for a few years. The boards managed to find some new heroes, but it hasn’t been enough to get to the playoffs. The team from Astana had a good start of the season. Six wins in eight games, a great showing from Linden Vey and Matthew Frattin, an avalanche of goals from Nigel Dawes and Kevin Dallman’s second youth. 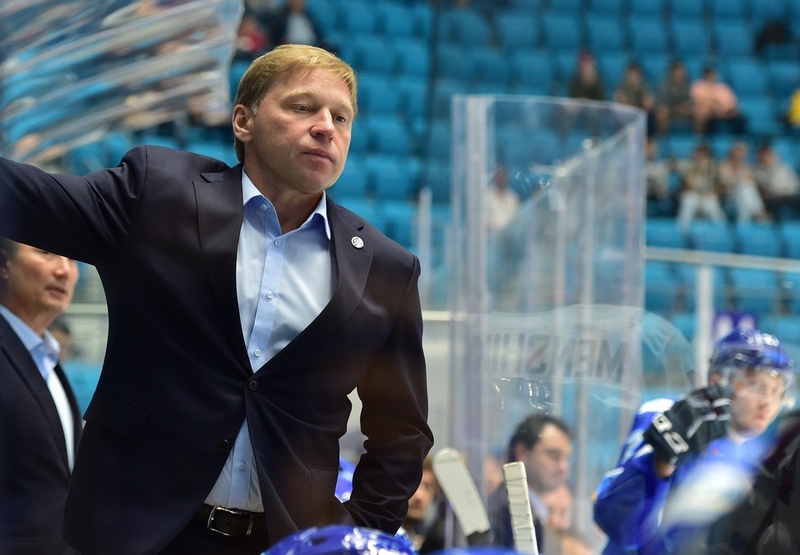 Pretty much everything was working for Barys and scoring fewer than three or four goals was a rarity. Moreover, they would not only defeat dark horses, but also the top teams. In Ufa, the five missiles shot by Barys (5:3) will be remembered long, the same will be for Lokomotiv, which hardly will forget the sour 6:0 defeat in Astana. And this is not the whole list of the teams defeated by Evgeny Koreshkov’s squad. Vey’s troika caused havoc among the opposition in each game. The players were lethal in both even-strength and with the man advantage. 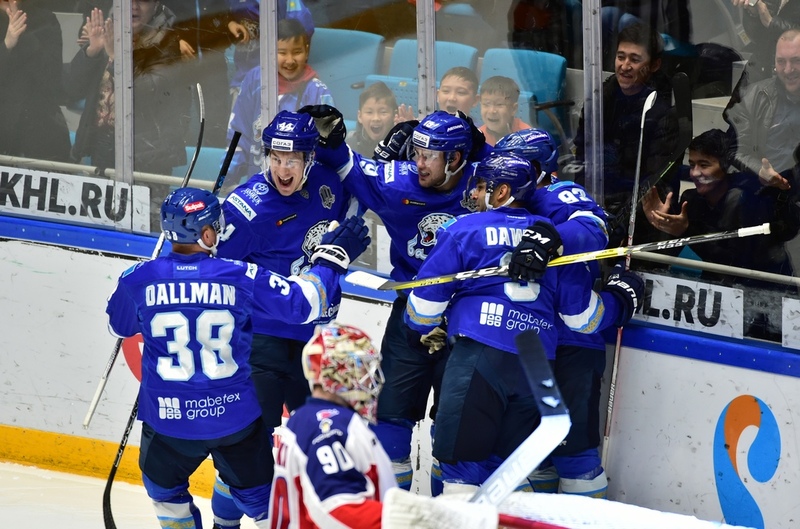 On November 5, Barys defeated CSKA Moscow in Astana (5:3) and it looked like the team was ready for the playoffs. The Kazakhs were amongst the leaders in the Eastern Conference and hardly anyone could imagine that all will be over soon. It’s hard to say what happened to the Koreshkov’s team during the November Euro Hockey Tour pause. But after it, Barys lost 18 of their 20 games. There were some incredible defeats. In St. Petersburg, Barys lost 1:9 to SKA, and they were defeated 0:5 in Yaroslavl. The Kazakhs even managed to lose at home against the last team in the Eastern Conference – Ugra (2:3). On January 1, the boards fired Koreshkov and hired the local specialist Galym Mambetaliyev. The new coach didn’t manage to shake things up. 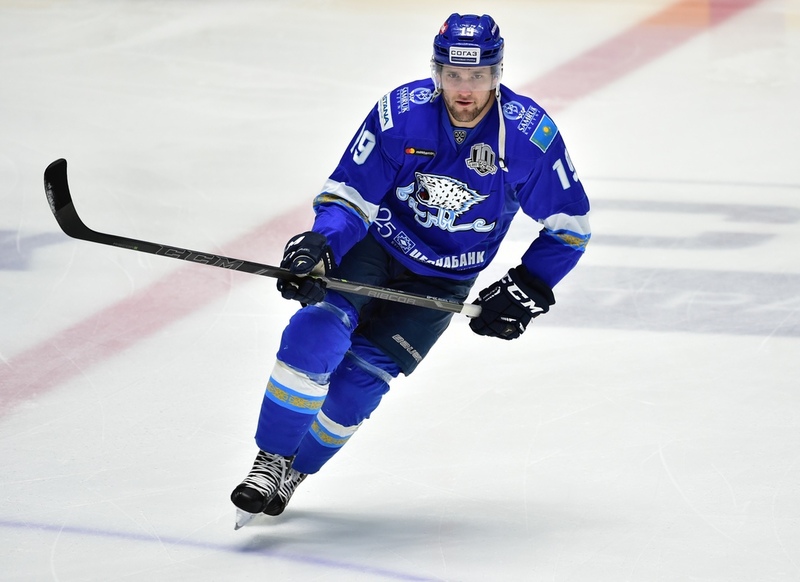 Barys kept on losing, Linden Vey left the team and rumors about Dawes leaving started spreading. As a result, Barys ended the regular season at the 10th place in the Eastern Conference, missing the playoffs by 14 points. The only good things for the fans was that Nigel Dawes was the regular season’s top goal scorer. However, Nigel will now please Avtomobilist fans as he signed a contract with the Yekaterinburg team. Evgeny Koreshkov tried to score points maximizing the impact of Barys’ strong points, that is foreign players. As already mentioned, things went well at the start of the season. Barys showed spectacular hockey, scoring many goals, but then Koreshkov lost the communication with the team and things started collapsing. The true reasons for the team’s failure are known only to the ones who actually were within the team. It’s hard to evaluate Koreshkov’s job in Astana as the team showed very different results under his guidance. Mambetaliyev didn’t have enough time to show his worth, even if Barys finished the season with him on the bench. The game between CSKA and Barys in Astana has been already mentioned. The team led by Koreshkov won with a 5:3 score. Barys had a good on-ice advantage for the whole game, created more scoring chances, was not inferior on the physical plan and deservedly won the game. The Red Army outshot Barys, but Henrik Karlsson was not really charged. That game was undoubtedly the best game of the season for Barys and for Linden Vey, who scored a hat-trick. On November 27, Barys landed in St. Petersburg. Koreshkov’s team was already in a losing streak and the Russian northern capital wasn’t the best place to revert it. As a result, SKA destroyed the guests (9:1). There is little sense in listing all the goal scorers, but you can believe that there were goals for all tastes. Nigel Dawes scored for Barys, but it was a little consolation for Astana. Dawes scored when SKA was up 7:0. Linden Vey is one of the KHL top centers. The Canadian player needed only one year to reach this status. Linden left Astana after the New Year, but in 50 games he scored 52 (17+35) points. Those are great numbers. Vey was the fifth overall scorer in the regular season. His return to the KHL was just a matter of time and next year he will play in Moscow for CSKA. 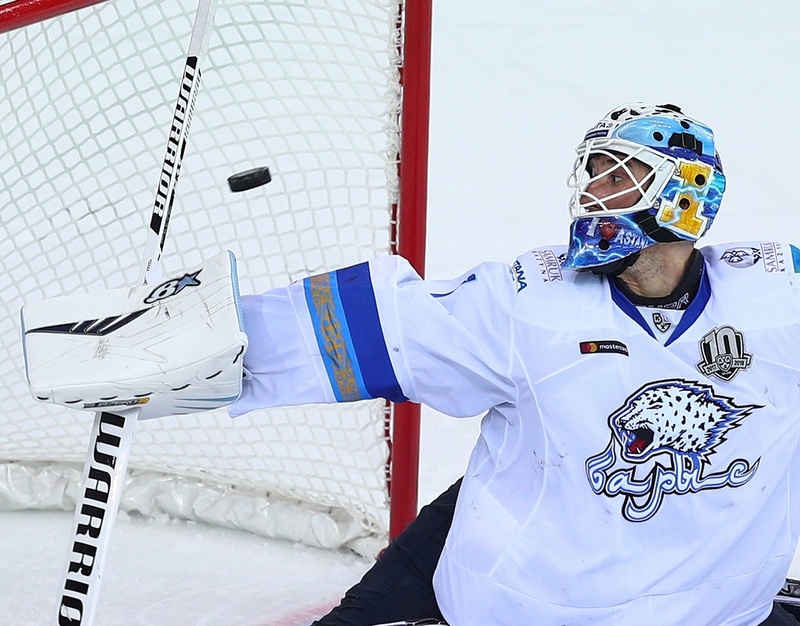 Goalie Henrik Karlsson played well only during Barys’ winning streak. He wasn’t ready for the team’s difficulties. In the most-needed moment, he could not lead the team, which is what people was expecting from him in Astana.